Update, 11-6-13: We've added in all the relevant stories from the following week. As you may have noticed, your friendly neighborhood Android Police writers have been more than a little busy in the last couple of days. Google had the odd notion of launching a new flagship device and a major operating system update on a holiday, so it's understandable if you haven't been able to keep up. If you spent most of last night escorting your kids around the neighborhood (or if you don't have kids, and you spent most of this morning nursing a Halloween hangover), here's everything we've got on KitKat, the Nexus 5, and anything else you want to know. If all you want is info on the next Nexus device, here you go. I hope you got an order in early - while the fulfillment issues that plagued the Nexus 4 launch are nowhere to be seen, stock is still not enough to meet the overwhelming demand. Here's the meat of our coverage: all the user-facing changes you can expect in the new version of Android. Some of these are bigger than others, but all of them should be coming to a phone or tablet near you... eventually. And speaking of updates, this is all the initial information on Android 4.4 updates, and when you can (or can't) expect them to come to your device. Impatient? 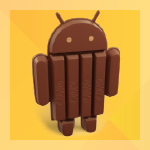 There are already a few KitKat ROMs springing up. Maybe you're not ready to dive into a new ROM, but you'd still like to check out some of those nifty updated apps. We've got you covered - here are all the new apps (with APK downloads) that we've been able to find. Developers make the Android world go 'round. Here's all the information you'll need on the nifty new capabilities coming to your apps, and what you'll need to do to enable them. Oh, and one more thing... we totally called it. If you'd like your coverage in video form, with a little bit of good-natured editorializing thrown in, check out the KitKat edition of the Android Police podcast.